Hey guys, it’s shcboomer dropping by with an article. Albeit a bit late in terms of posting, I finally managed to get through a bunch of other things before posting this one up. This article is quite different from our usual ones here on Fuwazette and it’s something we’re experimenting with. Let’s just say the readers won’t be or at least weren’t the only ones surprised by this post. Anyway, below we have an article written by astro who visited Sakura-Con 2015 in Seattle. Sakura-Con is one of the biggest anime, manga, and VN conventions in the Pacific Northwest. Just a few notes to be made before we move on. 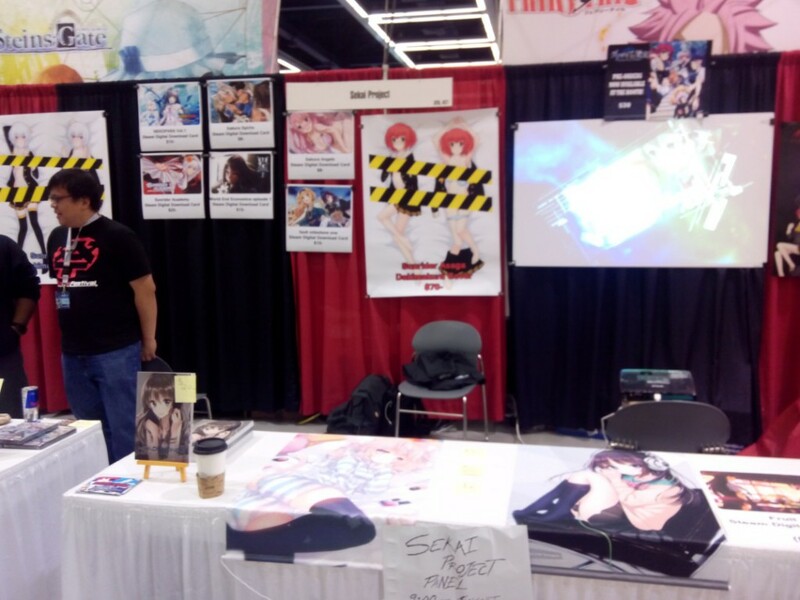 We managed to obtain a press pass for Sakura-Con and were given a ‘complementary’ pass on the condition that we wrote about our experiences at the convention. Take that for what it is. Secondly, the article below is guest written by astro in its entirety, I only edited the article. All of the opinions below are astro’s and not mine. If you want to read about my experiences, you can visit my personal blog. I went to Sakura-Con for the very first time this year. I did not know what awaited me behind the closed doors of the Washington Convention Center, but I knew that I was in for a pleasant surprise. The moment I walked through the glass doors, I was amazed at how huge the interior of the building was. Fellow anime fans graced the halls, donned in a plethora of cosplays – it was like something out of a fairy tale. Despite the crowds being denser than central Beijing, the traffic was well-organized, so I rarely found it difficult to get around. 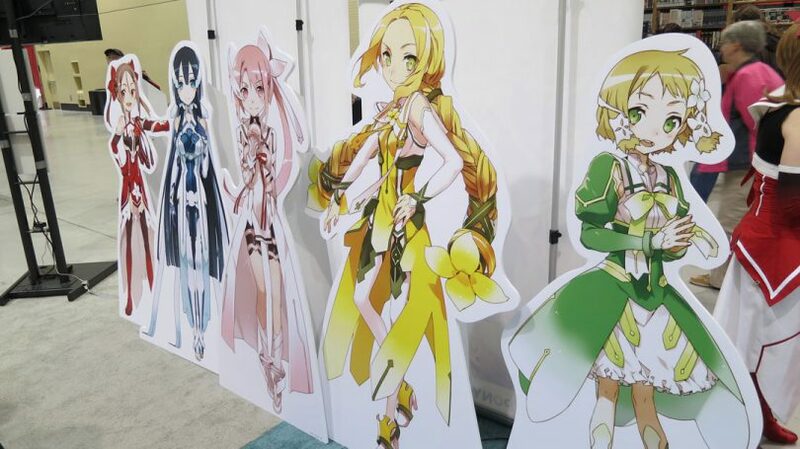 Several booths and events caught my eye, including the Yuuki Yuuna English dub screening, the charity auction, and last but not least, the Sekai Project booth. Nothing much happened during the Friday of the convention. I imagine everything was still getting set up since it was the first day. I wasn’t familiar with the area since it was my first time being there (the place is BIG), so I’m glad I got the chance to look around for a whole day without missing out on anything. As such, most – if not all – of the events depicted below happened on Saturday, which turned out to be the most jam-packed day of the event. It was pretty hectic since most of the main events congregated on a single day, but I’m happy that I got to visit all the ones I wanted to check out. 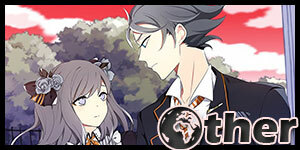 I knew Yuuki Yuuna had a visual novel, but it wasn’t until Sakura-Con that I found out it was also an anime. I didn’t expect much at first, but the first few episodes really blew my mind. What I initially thought to be a typical ‘magical girl’ anime ended up sucking me in instantly. The soundtrack, plot, and artwork all came together to send me down an emotional roller coaster. Before I knew it, I watched all twelve episodes on Crunchyroll the following night in my hotel room. I even got a Yuuki Yuuna poster! I left the con a proud fan of the series. 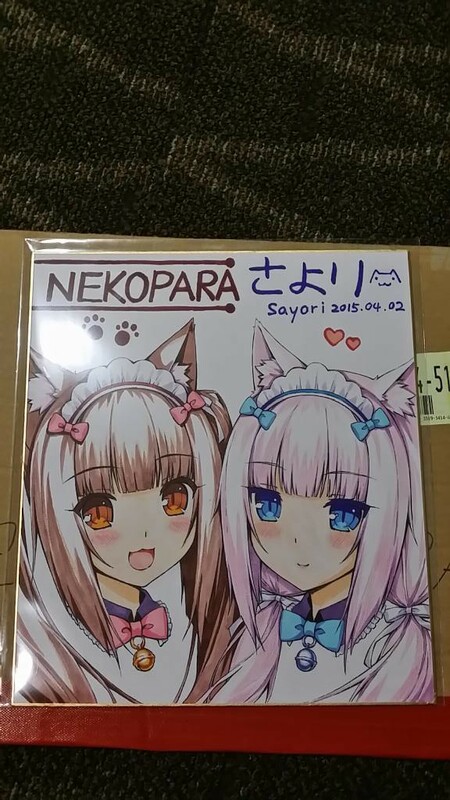 The Sekai Project booth was selling some interesting games, as well as a collection of limited edition goodies. The staff members were all really friendly and approachable, so I had a great time chatting with them. On day 2, they had a panel in the evening where they planned to unveil upcoming projects and releases. Needless to say, I was really excited to see what they had in store. 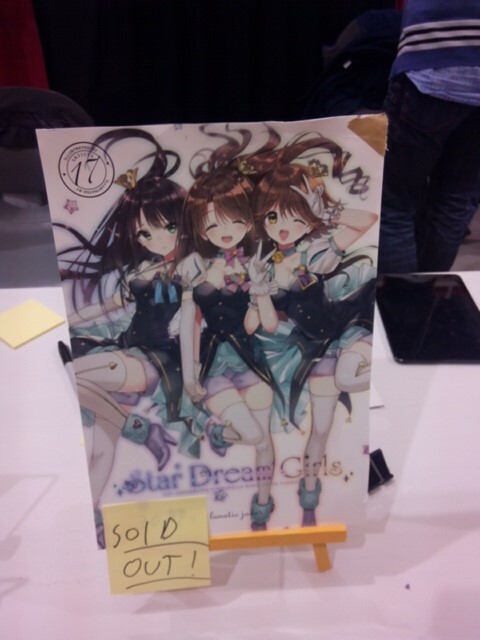 These art books were being sold at the Sekai Project booth (which I had the privilege of helping out at.) I guess they were really popular, because our entire stock of these books sold out in mere hours. 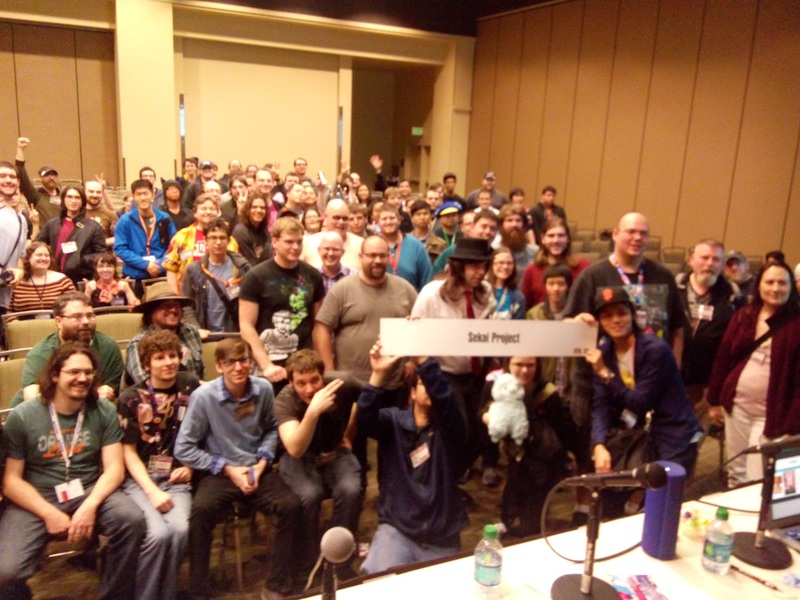 Compared to last year’s panel, the Sekai Project panel was a huge success this time – we almost had a full house! Surprisingly, only about five people showed up to the panel at Sakura-Con last time (most of them supposedly friends of the industry.) At the panel, Sekai Project introduced what visual novels were and also provided answers to burning questions that some fans had. 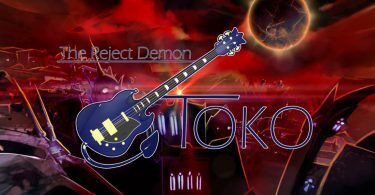 Some titles were also announced, such as November Boy (a Korean BL visual novel about an obsessive ikemen stalker) and a JRPG planet-ruler game. Unfortunately, there weren’t any alpacas this time, but all these upcoming releases seem to have a lot of promise. People were handed a numbered raffle ticket when they walked through the door, and at the very end of the panel, the guys at SP were nice enough to do a giveaway for free steam codes. For some strange reason, as they called the winners up, we noticed that the winners were all the people who came in at the very end. Either someone’s really bad at shuffling, or a level 10 wizard opened up a portal to a parallel dimension inside the bag. Either way, it was really bizarre. 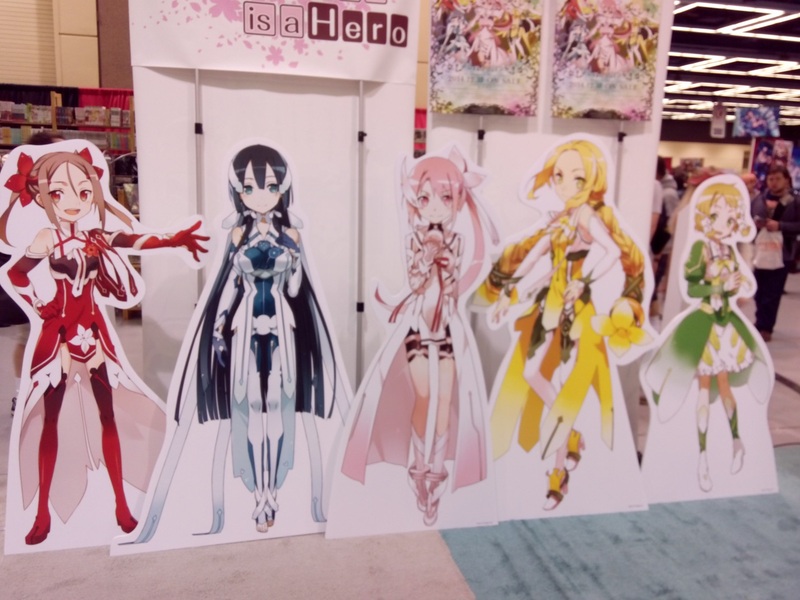 All in all, I had a great experience at Sakura-Con. I wish it went on for a bit longer, but I definitely wouldn’t hesitate to go back again next year. If you’re in the neighborhood at the time, hopefully I will see you then. If not, then look forward to another excitement filled article next year! first of all thx 4 the post. while i dont doubt the authors good intentions in making it, i on the other hand think its a bit hollow. wish he had gone a bit more into detail, for those who werent lucky enough (like me) to visit it. & yeah i know he was helping out @sekais booth, but some additional news would´ve been really cool. sounds a bit to me, like i went to the zoo & there were animals. We’ll try to get some more detailed coverage for any further con reporting. I think the issue here is that Astro didn’t go to the convention to report on it. She likely went there to help out at the Sekai Project booth. 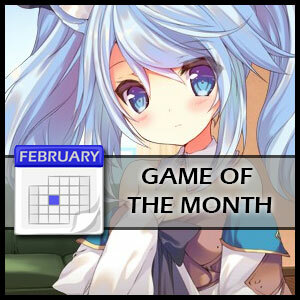 Of course, this being a VN site, the topic of interest is VNs. Yet if the only VN-related event was Sekai Project’s panel (who just announced a few doujin games), there might not have been much to talk about. Personally, the type of content I’d be interested in is the social aspect of VN fandom. I’d like to know what sort of questions were asked at the Sekai Project panel, what games people were most interested in, and the sorts of people that came up to Sekai Project’s booth and what they had to say. Also, the coverage is a month late, which is kind of a problem because this sort of content is time-sensitive. Wait, so Fuwanovel is recognized by the broader Otaku community as an important website? That’s great to hear. 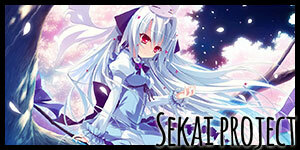 Regarding the article, I’m glad the Sekai Project panel was a success. Hopefully that is indicative of the western VN market expanding. 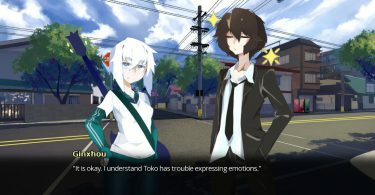 That said, personally I feel Sekai Project is a double edged sword, as they gather attention to the VN community, but sometimes that is unwanted attention *cough*Sakura Spirit*cough*. I doubt JAST and Mangagamer attended this convention. They’ll be at Anime Expo. SP is planning to visit like, two other cons before AX as well. Infinite announcement works! Another way that a reporter can add spice to their photo reporting is to interview or take individual shots of the people who come, what they are wearing, and what they are here for. This introduces more varied personalities and can help the reader associate more with the humans if they don’t know what the booths are for.